In November, Angelenos can experience a variety of cultures (even Scandinavian!) and partake in some unique celebrations before focusing on their own Thanksgiving. The month kicks off with numerous Día de los Muertos celebrations, a Mexican holiday honoring friends and family who have died; and throughout the month, walking tours, performances, workshops, fairs, and festivals all provide more opportunities to gain a fuller appreciation of our local area and heritage. What will you attend this month? 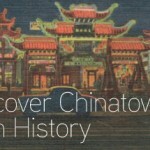 The Undiscovered Chinatown Tour, Chinatown, Saturday, 10:30am-1pm. Visit a temple, an herbal shop, art galleries, antique stores, and more when guided to the unique treasures to be found in Chinatown. Offered every first Saturday of the month, this tour takes visitors to a number of off-the-beaten-track points of interest and will guide those interested in shopping to some of Chinatown’s best bargains and its trendiest shops. Wear comfortable walking shoes and be prepared to wind your way through a myriad of alleyways, plaza stalls, and classical courtyards to discover the charm of L.A.’s Chinatown. 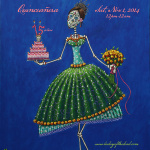 Hollywood Forever’s 15th Annual Dia de Los Muertos, Hollywood Forever Cemetery, Saturday, 12pm-12am. Spend an eventful day watching as the cemetery comes to life with joyful celebrations. There will be musical and dance performances on three stages. Enjoy fine Mexican cuisine, a wide variety of Day of the Dead arts and crafts, and an art exhibition in the Cathedral Mausoleum. There will be a vibrant traditional procession with Aztec blessings and regional musical-dance group dedications. View 100+ altar exhibits created to honor ancestors and loved ones. See website for complete schedule and ticket information. Dia de los Muertos Celebrations, El Pueblo Historical Monument, Downtown, Saturday and Sunday. Olvera Street’s annual Dia de los Muertos celebrations continue this weekend with street theater performances, strolling mariachi bands, Aztec dancers, art workshops, puppets, ballet folklorico, piñatas, face painting, and other fun family activities. On Saturday from 9am to 1pm, a children’s workshop (mask coloring, necklace making, and flower painting) will provide kids with a history of this colorful and beloved Mexican celebration. Both Saturday and Sunday at 7pm, there will be a candlelight Novenario procession. Also, an art exhibit which explores Dia de Los Muertos and other rituals memorializing the dead will be on display at Pico House. Andell Family Sundays—Story of Two Cities, LACMA, Sunday (also the 9th and 16th), 12:30pm-3:30pm. Check out the special exhibitions Edward Biberman, Abbot Kinney and the Story of Venice and The Painted City: Art from Teotihuacan to see how art can tell the story of a city. Paint a mural inspired by Venice and Teotihuacan in this workshop. Children under 17 can get a free membership to LACMA through the NexGen program, which offers them and one accompanying adult free admission every time they visit. 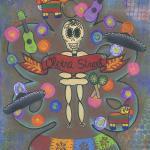 Kids in the Courtyard: Dia de los Muertos, Fowler Museum at UCLA, Sunday, 1pm-4pm. 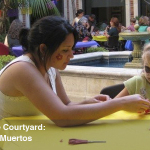 In celebration of Día de los Muertos, kids can create a personal altar/assemblage with paper, sequins, and other materials and contribute to a large installation/altar in the Fowler’s Davis Courtyard. Visitors can bring photos of loved ones and unopened canned food to leave on the community altar. All canned food will be donated to a Los Angeles shelter. World City Series: Git-Hoan Dancers, W.M. Keck Children’s Amphitheatre at Walt Disney Concert Hall, Downtown, Saturday, 11am and 12:30pm. 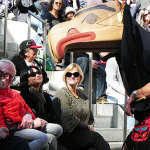 Come and enjoy the music and dance of Alaska and the Pacific Northwest. The Git-Hoan Dancers (The People of the Salmon) perform with stunning, hand-carved masks, authentic skin and wood drums, and colorful handmade regalia emblazoned with symbols of their culture. 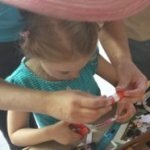 A visual art workshop will give children the opportunity to explore the featured culture through a unique art-making project. American Indian Arts Marketplace, The Autry in Griffith Park, Saturday and Sunday. The largest Native American arts fair in Southern California, the Autry’s American Indian Arts Marketplace features 200 Native American artists who represent more than 40 tribes. 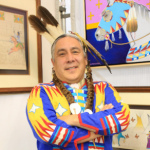 The weekend also includes performances, children’s activities, informative talks and demonstrations, and the annual short play festival from Native Voices, the Autry’s resident theatre company. Acclaimed Auntie’s Fry Bread will be cooking up their must-try, light and fluffy Native American fry bread. The Autry’s cafe, Crossroads West, will offer a full menu that honors the unique culinary traditions and flavors of the American West. Japanese Garden Festival, Descanso Gardens, La Cañada Flintridge, Saturday and Sunday. 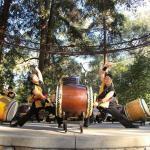 Descanso Gardens celebrates the art and culture of Japan with this annual family-friendly festival. Visitors can enjoy an ikebana display, Taiko drumming, and distinctive Japanese cuisine, sake, and beverages. On Saturday at 10am there will be an in-depth tour of the Japanese Garden. Barnsdall Art Sunday, Junior Arts Center at Barnsdall Art Park, Hollywood, Sunday, 10am-12pm. Participate in a free art class in the park. Each Sunday a different culture is featured. 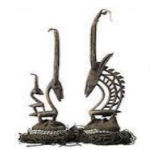 The focus of this week’s workshop is Mali: Chiwara Headdress of the Bamana. Family Art Workshop, Los Angeles Municipal Art Gallery, Barnsdall Park, Hollywood, Saturday, 11am-2pm. Explore the origins, symbols, patterns, designs, and colors used as the foundation for the artworks showcased in both Doris Duke’s Shangri La: Architecture, Landscape, and Islamic Art and Shangri La: Imagined Cities. Families are invited to work with diverse materials to create vibrant artworks influenced by the traditional motifs and contemporary images from these two exhibitions. 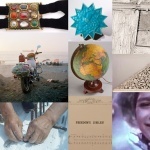 Barnsdall Art Sunday, Junior Arts Center at Barnsdall Art Park, Hollywood, Sunday, 10am-12pm. Participate in a free art class in the park. Each Sunday a different culture is featured. 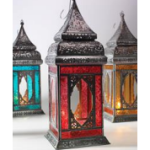 The focus of this week’s workshop is Morocco: Lanterns. 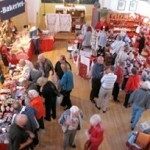 Norwegian Christmas Fair/Julebasar, Sjømannskirken/Norwegian Church Abroad, San Pedro, Friday through Sunday. Christmas decorations, music, candles, and the smell of freshly baked goods set the mood as you wander the booths filled with Scandinavian goods of all kinds. There are raffle drawings with wonderful prizes, traditional foods served in the church’s cafe, and baked goods for sale in the church’s bakery. Barnsdall Art Sunday, Junior Arts Center at Barnsdall Art Park, Hollywood, Sunday, 10am-12pm. Participate in a free art class in the park. Each Sunday a different culture is featured. 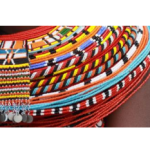 The focus of this week’s workshop is Kenya: Samburu Bead Work. 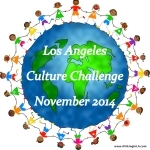 This entry was posted in Culture Challenges by Patricia Zanuck. Bookmark the permalink.